but are you going down the Thorntons and roses road or would you like something a little different? 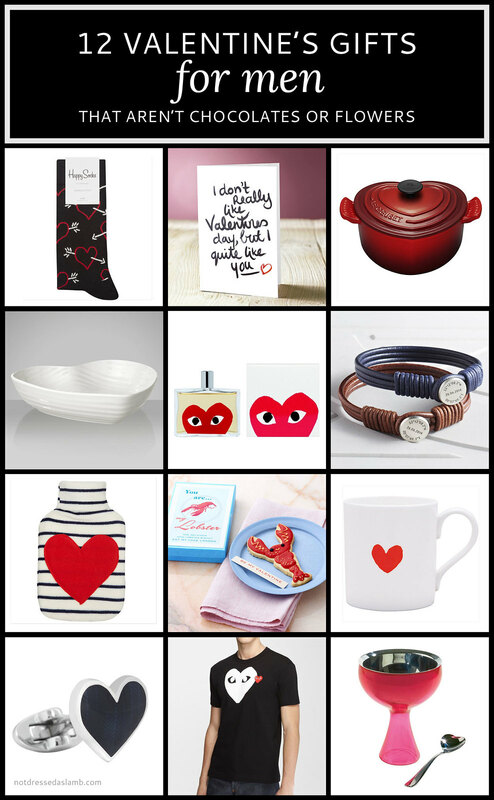 If it’s the latter you’re in the right place: I have 24 Valentine’s gifts for men and women for you (that’s 12 each)! 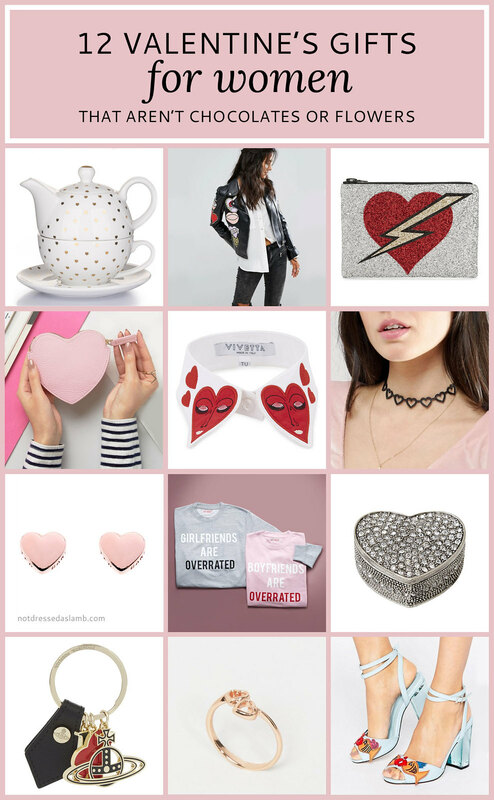 Some of you may know that I’m not big on Valentine’s Day myself, but I have to admit I do like to see some of the creative ideas that pop up in my Inbox from different retailers touting their lovebird wares. The days of a box of chocolates and/or a dozen red roses being the only things available to get your loved one are long gone – there are many, many inventive, unusual and gorgeous gifts you can get your significant other these days. And if you don’t have a significant other, then just do the Palentine’s or Galentine’s Day thing and treat your pal/gal pal instead. Or – even better – why not treat yourself…? If ever there was a time to give yourself a little treat, it’s February: The month equivalent of Tuesday, if you see what I mean. If January is like Monday (when the excitement of Christmas, i.e. the weekend, hasn’t quite died down yet), then February is the dull month to Tuesday’s dull weekday. Christmas is loooooong gone, there are no bank holidays, the weather is grim. 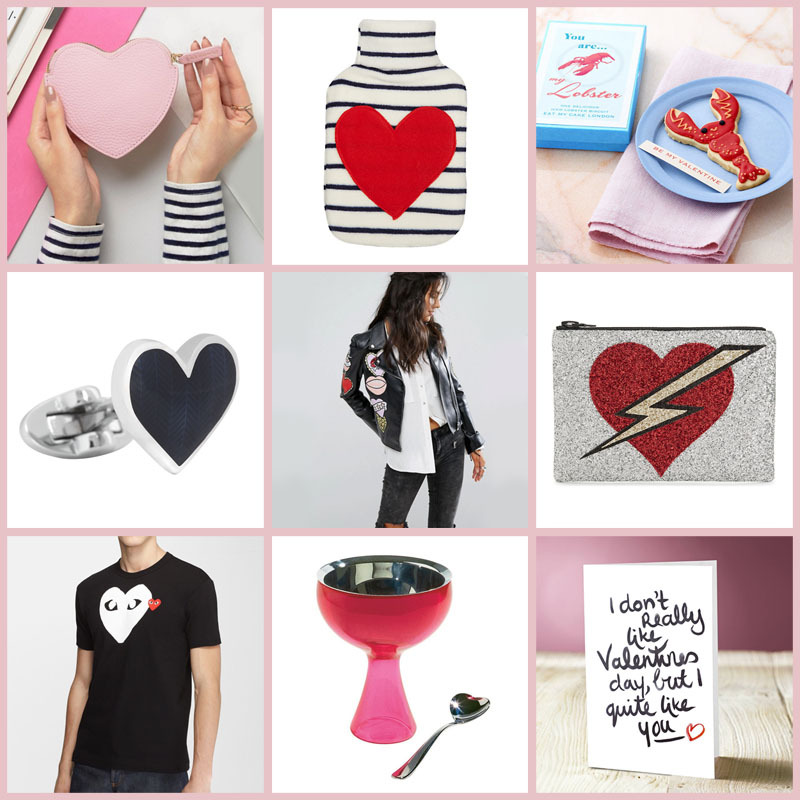 So brighten it up by buying yourself a lightning heart glitter clutch for a night out or perhaps a heart stripe hot water bottle to warm your toes. Better still, buy some Cookie Dough Ben & Jerry’s and put it in an Alessi ‘Big Love’ ice cream bowl and spoon and have the lot to yourself. What better way to show yourself you care…?! WHAT ARE YOUR PLANS (OR NON-PLANS!) FOR VALENTINE’S DAY? TELL ME IN THE COMMENTS OR TWEET ME @NOTLAMB! Want your other half to get you something here? I know I’ve featured gifts for women here when I can imagine they are many things you’d like for yourself but from your OH. So in effect you’re not the right person to be reading this (but don’t get me wrong, I’m very happy you are)! Forward this post to them! Send a little note that says Look what I saw on the e.g. bottom row on the left, I just LOVE it, sweetheart… No need to be subtle every time, eh? Twitter – tag them in by tweeting a link to this post. Or add a comment to my Facebook post that links back here and tag them in, saying what you really love. Thanks for this lovely alternative Valentine's day gift ideas. I reached to your post late. I already gave flower bouquet with one tshirt to my partner. I will wait for next year and will surely check your blog for new Valentine's gift ideas. Amazon lists are brilliant, aren't they Vicki?! !